We are engaged in manufacturing and supplying a supreme quality range of Water Proofing Chemicals, which includes Waterproofing Compound (LW Plus), Waterproofing Powder, Waterproofing Crystal Compound and others. These products are processed using premium quality raw material in compliance with the set industry norms & standards. We offer these products to our customers as per their demands at competitive prices. MR. Home Guard - LW Plus is an integral Waterproofing Compound for concrete and cement mortars. On addition to concrete, it disperses the cement particles and because of its unique formulation improves impermeability and makes concrete waterproof, MR. Home Guard- LW Plus is chloride free and does not affect the R.C.C. It is based on carefully selected organic polymer. MR. Home Guard LW Plus can be used with all standard cement types and cement replacement material like DDBFS and FLYASH. MR. Home Gourd LW Plus of required quality should be added to a part of gauging water before mixing with concrete made with remaining gauging water for better results. The concrete should be mixed for at lest two minute after addition of MR. Home Gourd LW Plus. MR. Home Guard - LWP is ready to use high performance integral water proofing powder added to concrete or cement mortar mixes. MR. Home Guard - LWP on addition to concrete fills micro pores and capillaries increasing the impermeability of concrete. It is specially formulated to prevent the passage of water through structure both under hydrostatic pressure and capillary absorption. It imparts to concrete an efficient and reliable waterproofing protection against rains, ground -water moisture, dampness and humidity. MR. Home Guard - LWP improves properties of concrete. Take MR. Home Guard - LWP at a rate of 1 kg. per 50 kg. 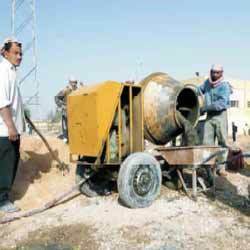 of cementitious material and mix it uniformly with the other dry ingredient of concrete. Add the required quantity of water. Use the concrete mix only after ensuring that the MR. Home Guard - LWP has been uniformly mixed. Note: Do not add Mr. Home Guard LWP directly with the gauging water. MR. Home Guard - Crystal is a single component economical, waterproofing system. It is a light brown liquid. MR. Home Guard - Crystal when diluted with water and applied as a thin coat penetrates in pares and capillary of concrete. The alkali silicates combine with the water and free calcium particles form crystals. Once the crystals have formed, they block pores and capillaries. It is applied as surface treatment on concrete, brickwork arid block work. We are looking queries from Pune, Mumbai. Clean the concrete surface lobe treated, so that it has an 'open capillary system'. Chase out, repair and make good any faulty concrete in the form of cracks and honey combing. Remove laitance, dirt, paints or other foreign matter by means of high pressure water jet, wet sandblast or wire brush. Wet the surface prior to application. The concrete surface must be damp and not wet, hence remove excess surface water dilute 0.250 litre MR. Home Guard - CRYSTAL with 2.750 litre clean water. Apply the diluted MR. Home Guard - Crystal with a brush, broom or with specialized spray equipment 3.0 litre diluted solution prepared as above is sufficient to cover 10 M2 areas. Allow sufficient time, minimum 4-6 louis fur reaction arid curing. Apply second coat in a similar manner. Keep the treated areas damp for 3 days. Protect against direct sunlight, wind, and torts by covering with polythene sheets, damp hessian or any other similar material. If excess white crystals are formed at the applied surface, wash it with water. MR. Home Guard - AP is an Arcylic Co- Polymer Based Agent specifically engineered to use as admixture for mortar and concrete. The polymer cement matrix composite has vastly enhanced adhesion, flexural and tensile properties. The system has very good abrasion and chemical resistance. The cement base mixes has low porosity and permeability. We are looking queries from Pune, Mumbai. Remove all loose honeycombed concrete up to sound concrete. Surface should be free of loose or deteriorated concrete and clean of dust, dirt and other contaminants. Flush area with clean water to remove all dust and wet the concrete. Pick up excess drips and puddles of water from the surface. The surface should remain damp during placement. MR. Home Guard - XP is a breathable cementitious coating for exterior or interior, concrete, mortar or masonry substrates. The network of cement polymer is impermeable to water and enhances abrasion resistance. MR. Home Guard - XP is a acrylic formulation used as an mufti-purpose construction chemical specially designed for modifying Portland cement composition for Waterproofing & Repair system. MR. Home Guard - XP is a low viscosity product and has the property of good and uniform dispersion in concrete mortar. It has a medium setting time and concrete mortar can set at room temperature without heat treatment. Used as acrylic polymer modified Cementitious / membrane coating. MR. Home Guard - WR is colorless silicon resin based water repellent. It is applied on external vertical masonry surfaces, weathered asbestos sheeting and certain types of natural and art tic stonework. MR. Home Guard - WR penetrates deeply beneath the surface and forms a barrier in the capillary channels preventing rain water penetration and preventing dampness on the interior surfaces. We are looking queries from Pune, Mumbai.